Chef Emma Mills first began her career in 2011 at Appetite Direct as a kitchen porter making the move from front of house into the kitchen. In 2012 she was promoted to Commis chef after affirming her love for food. Chef Emma travelled the world for a year experiencing many new flavours and techniques from different cultures which she has incorporated into her own style. In 2013 Chef Emma joined Contini at The Scottish Cafe & Restaurant as commis chef and within 6 months promoted to Junior sous chef. In 2014 Chef Emma was tasked with opening Continis third restaurant Cannonball as Senior Sous chef. Her passion and commitment didn’t go unnoticed and so was nominated to spend a week in France with Budding Chefs. Chef Emma lead the team in becoming Newcomer of the year for The List and Best restaurant experience in east Scotland in 2015. She also gained her SVQ level 3 in Professional Cookery this year and invited to do a cooking demonstration at the Royal Highland show. In 2016 Chef Emma became Head Chef of Cannonball and has since been promoted to Head Chef Senior Manager. This year she has also won a HIT Scotland craft scholarship which will provide her with the opportunity to further enhance her knowledge and skills. Chef Emma also gives her time to Edinburgh college culinary students where she shares her vast experience. 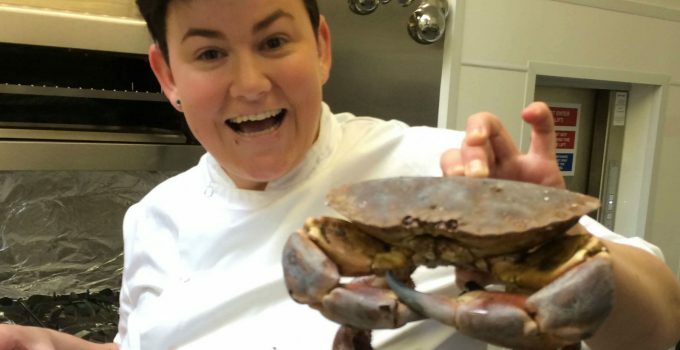 Chef Emma has a passion for contemporary Scottish cooking using seasonal, local produce. Throughout her career, she has had the privilege of cooking for Carlo Petrini, Valentina Harris, Raymond Blanc, Alex Salmond, Brian May and Jay Rayner.